It was a huge night for the MOBO Awards, a vintage year for us - great British success story Emeli Sandé walked away with awards for Best Female, Best Album and Best R&B/Soul while Plan B took Best Male Act and Best Hip Hop/Grime. TLC were awarded Outstanding Contribution to Music, with Dionne Warwick receiving the MOBO Lifetime Achievement Award. 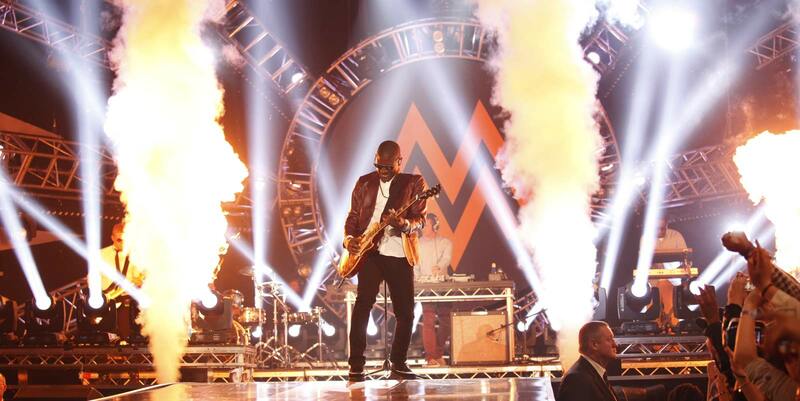 Other winners on the night were Sean Paul, D'Banj, Labrinth, Rita Ora, Nicki Minaj, Rachel Kerr and Zoe Rahman. Presented by Miquita Oliver and Adam Deacon - with backstage support from Rickie and Melvin - the night saw some of the world's finest talent performing to a packed arena. Trey Songz, Conor Maynard, Emeli Sandé, Misha B, JLS, Angel, Stooshe, Labrinth and Wiley all blew the crowd away. Video: Do You Feel What I Feel?